A family sanctuary with scale & stunning views! 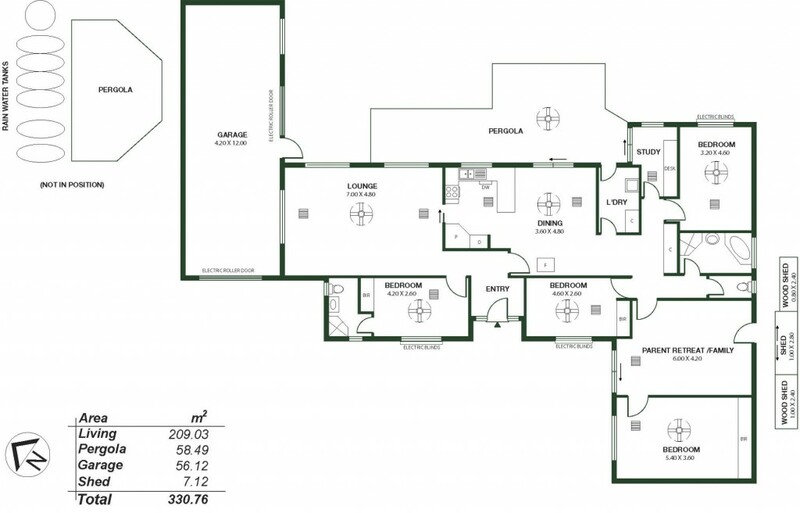 Who doesn't love a home that lives large with limitless family advantages and a workable floorplan to spice things up? Nairne does. You'd get out of town for that. And pleasantly, here you virtually are. Gravel paths uncover hidden zones, a cubby house and tree swing, plus a brazier ready to stoke, smoke, and sit around. The home with today's dress code swears by big windows for light and outlooks; its promenade of panes stretches from formal living to casual meals to alfresco, capturing the hills in all its magnitude. Sit out back and be besotted. As the weather turns, roll down cafe blinds that won't block your view. Family sized, the timber kitchen hosts a dishwasher, electric appliances, laminate benchtops, forgiving floor tiles and easy strides to dinner service in a meals zone absorbing the slow combustion fire's glow. An array of bedrooms of varying size all offer carpeted comfort and built-in robes (bar one), ceiling fans, and a pick-and-choose approach - the possibilities are as vast as the voted master and its adjoining parent's retreat/TV zone. Or, fight with the teen for the en suite-attached version - in any event, each fully-tiled bathroom finds a bedroom, such is the layout. A study with built-in shelves and desk adds sunlight, scenery and a patio break for when brain fade sets in. Loads of parking and unloading capacity with a quadrangle of flexibility out front, plus a long garage for the work ute, trailer or camper - your use, your story. - Garaging for 2 cars with auto roller doors (front & rear) - 12m x 4m approx.